I guess most people associate sea-gulls with the seaside, but they are a common sight in our river baths, albeit in small numbers. I’m sure that enough picnickers supply them with tasty morsels that the birds’ continued presence is assured. Watching their antics can be quite amusing. They are great posers, and let one know what mood they are in. 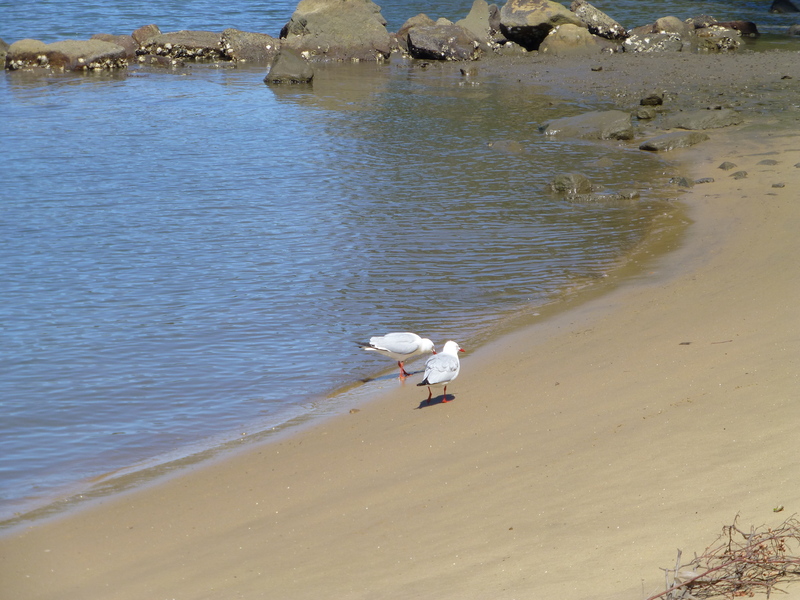 Here’s a pair enjoying the little beach. Seagulls in contemplation. That’s what I make of it. 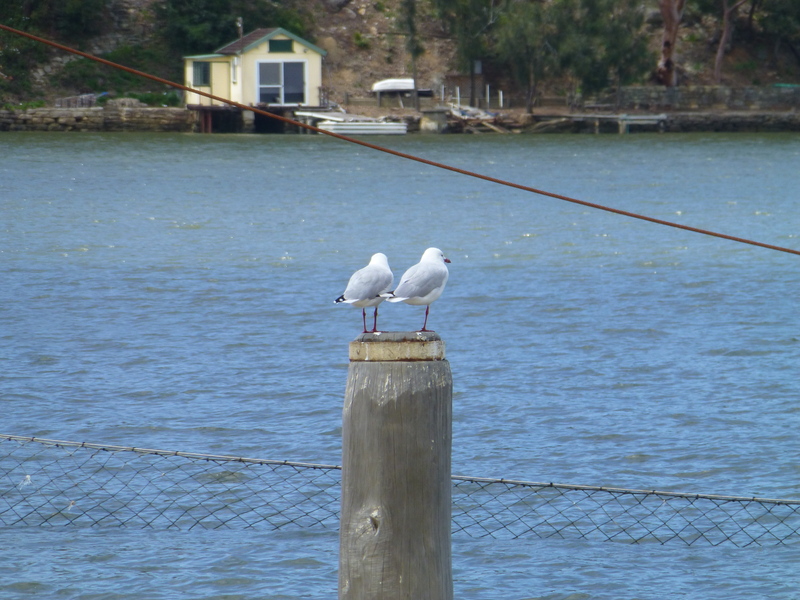 It’s uncommon to see two seagulls perching together like this. Therefore I count myself lucky that I had my camera on hand to capture the moment.